An individual can obtain the ownership of many things and companies can gain rights to assets that are considered valuable to their growth and progress. In legal situations, claims of ownership and legal rights can be revoked when a release form is issued to the person or company in question. 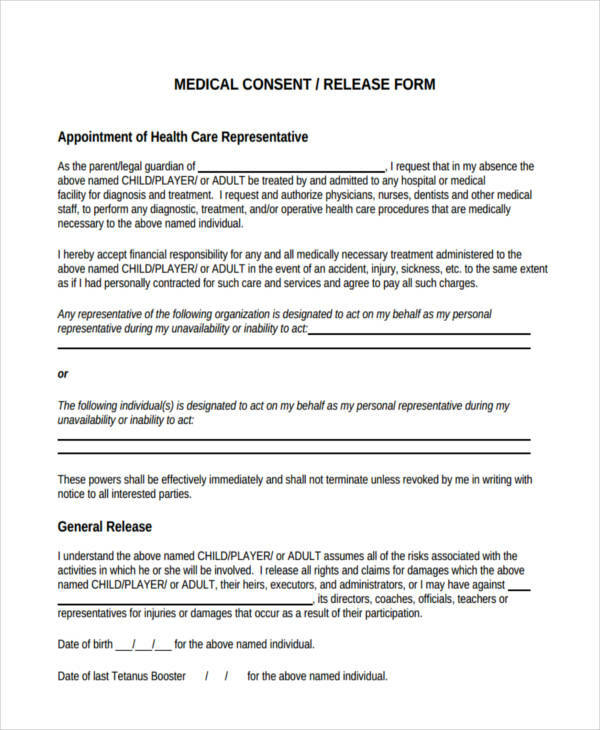 When one receives a release form, he or she must comply with the conditions stated in the release form. He or she cannot hold on to the claim or rights to object or asset being held unto. 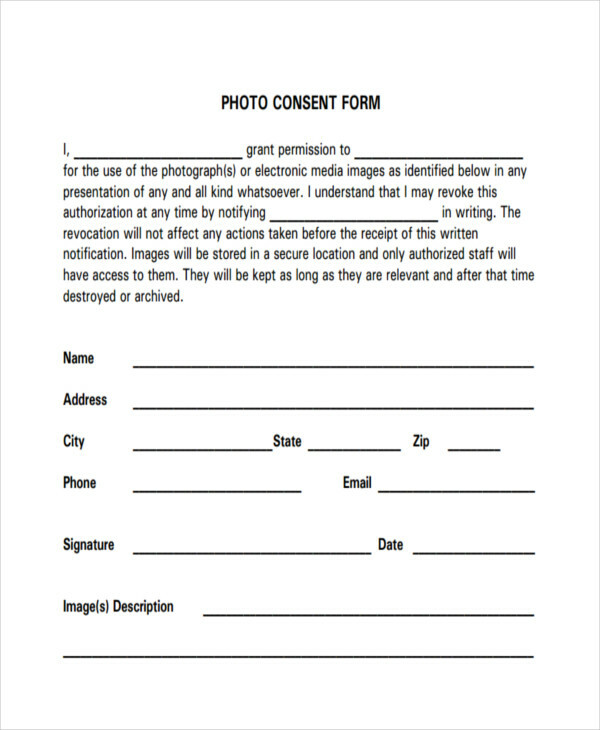 For example, with a Photo Release Form, the individual to release the rights to photographs that were taken or kept. What Does Print Release Mean? A release form is a legal document which revokes the claim of ownership and legal rights of a particular object or asset. This form can have its contents customized for different subjects. 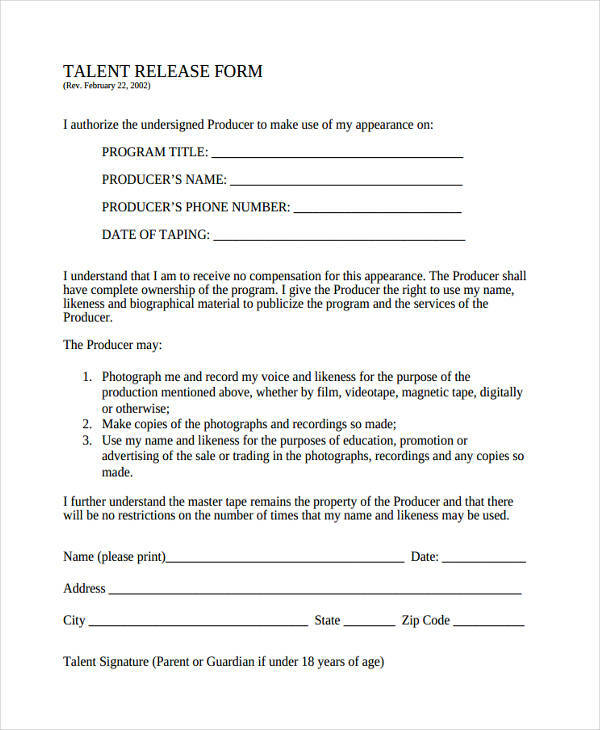 For example, Sample Actor Release Forms are created to grant rights to the production crew of a film to use photograph and film the actor, record his or her voice, performances, actions, plays and reproductions of the actor’s physical likeliness in the stated film. With a print release, it is more focused towards photographs. 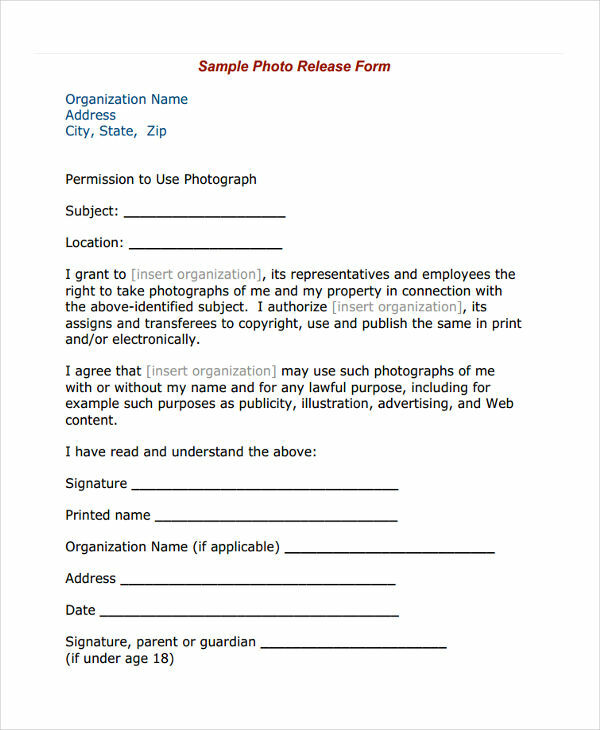 This form gives permission to other people to reproduce images for their own use. 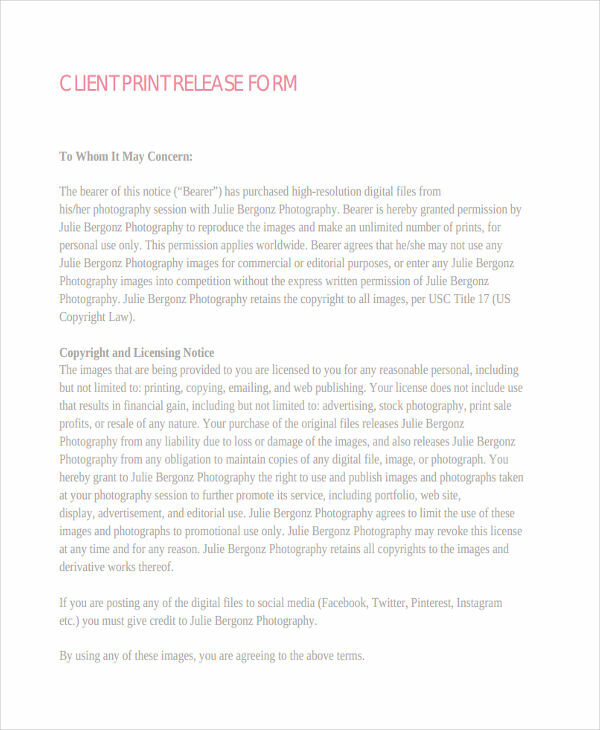 When an individual wants to write a legal document such as a print release, or Sample Copyright Release Forms, one should remember to follow the appropriate content and format. Following the right format and content of a release form will let other people see that it is formal and verified document. 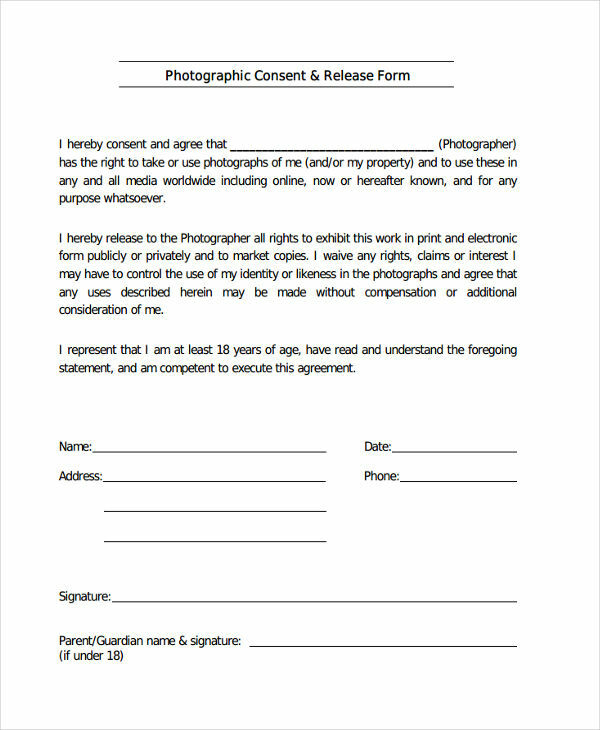 Since a print release should be written formally, it starts with a sentence stating the name of the owner of the photographs. The next sentence talks about who gets the permission to use the photograph. The print release can also indication the limitations to the photographs in terms of alterations in its contents. A release form may be created through the traditional method, or with the assistance of technology. 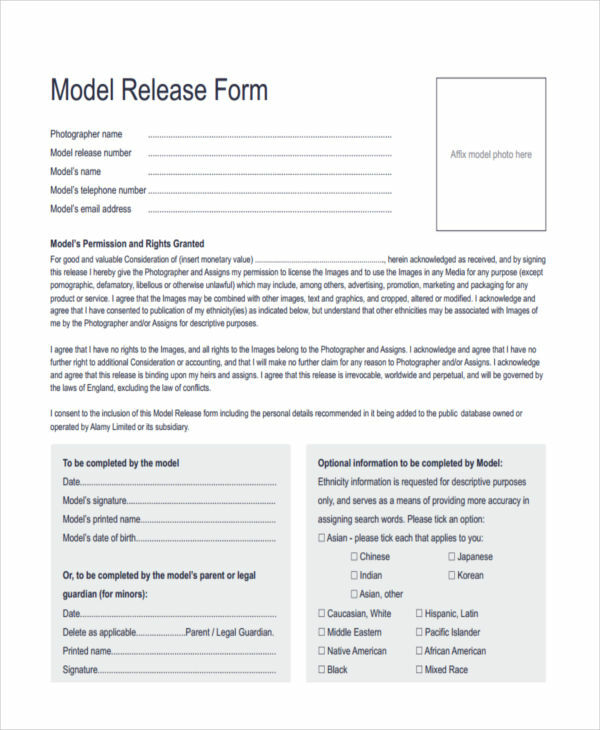 Many would choose the assistance of technology in making their own release form. 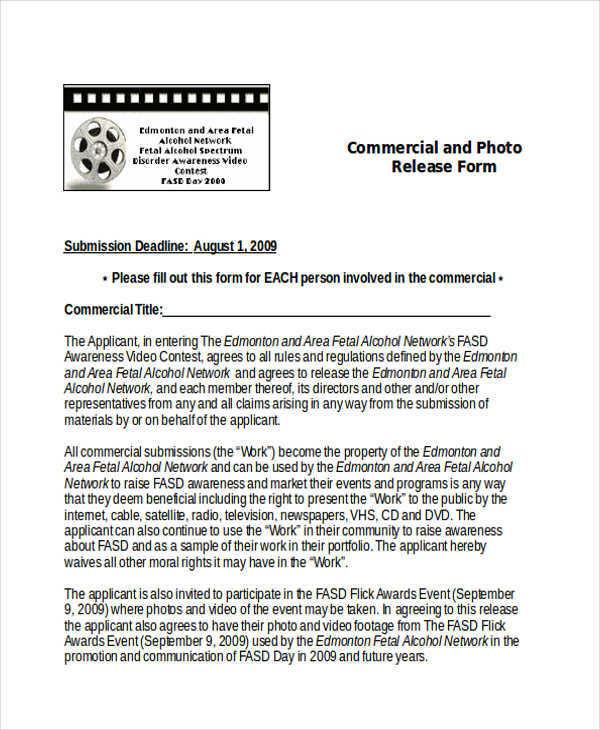 The use of a computer and access to the world wide web can let an individual search for Sample Release Forms that can be used as a reference in the creation of the release form. 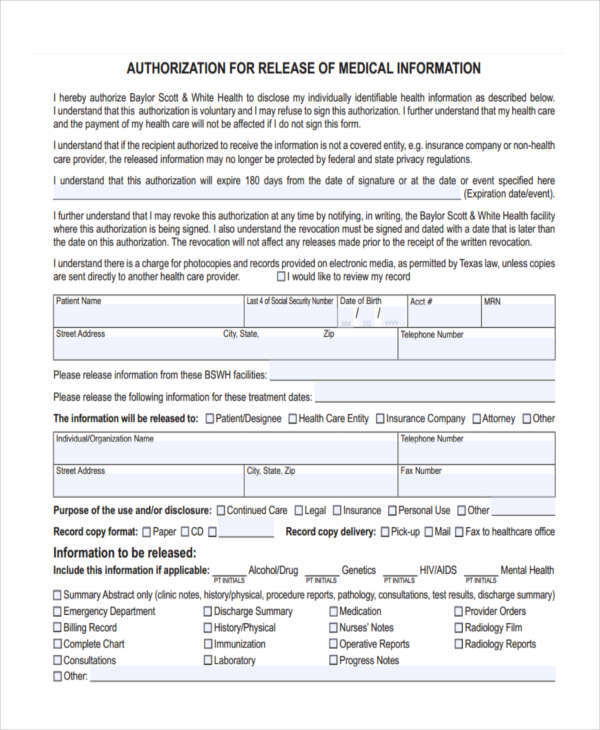 The use of a computer can save a significant amount of time since there are applications that can make a release form in just a couple of minutes. The traditional method of making a print release form can have the same idea with the technological method but it just uses a piece of paper and a pen and may take more time to complete compared to its counterpart. 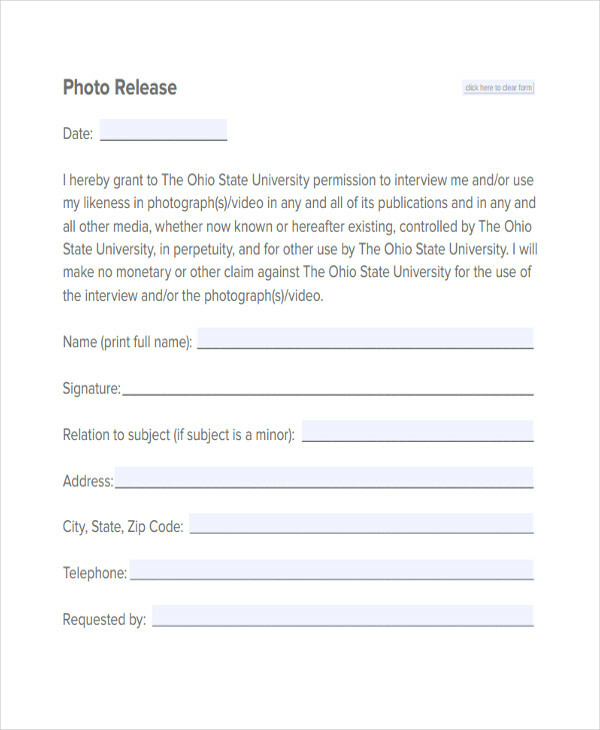 In the instance that a person wishes to create a set of Sample Media Release Forms, one can choose either method and come up with the same output. The factors that matter are the content and the format of the release form. 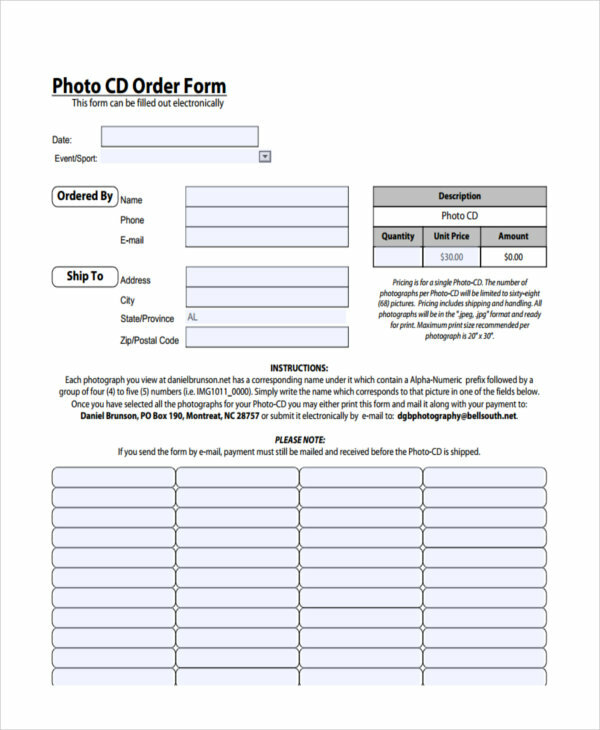 With the creation of a print release form, there is an order for the set of information to follow. 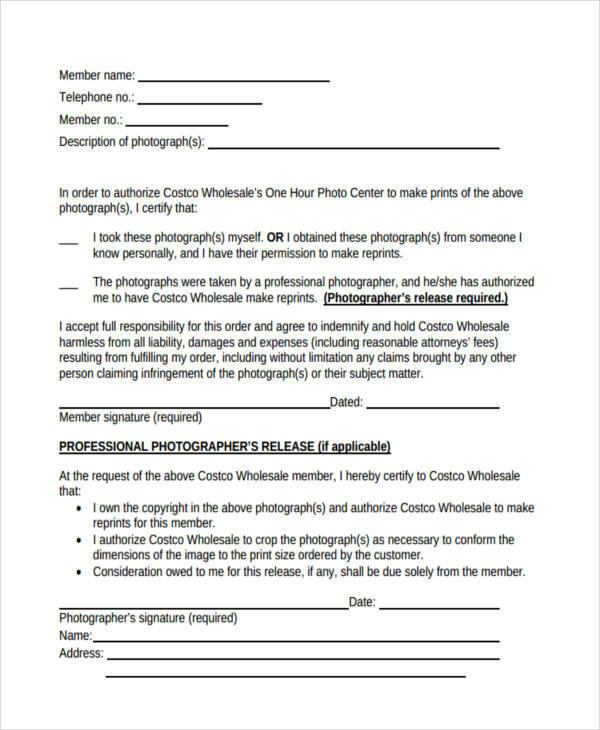 The name of the photography or print business is indicated at the top most part of the print release form. 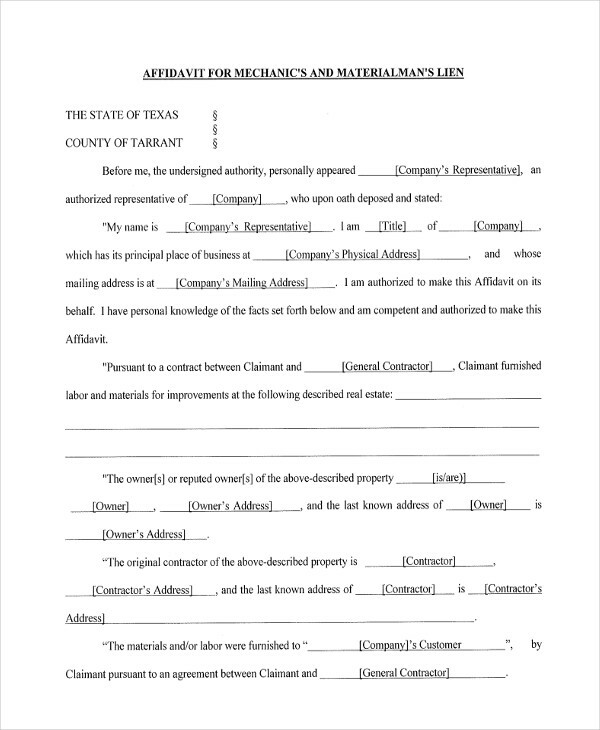 The introduction of the print release form states the name of the owner and his or her legal right as the owner of the business. 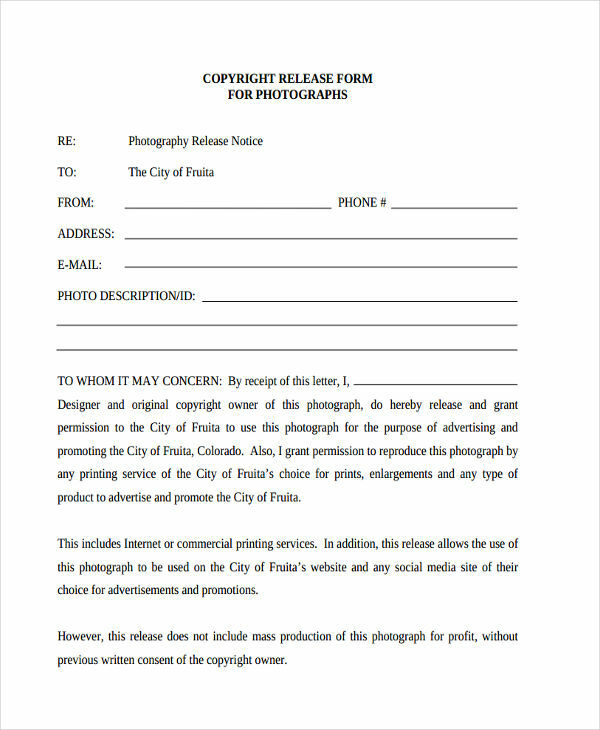 The form then discusses the detailed account of the extensiveness of the business owner’s permission with the photographs or prints. 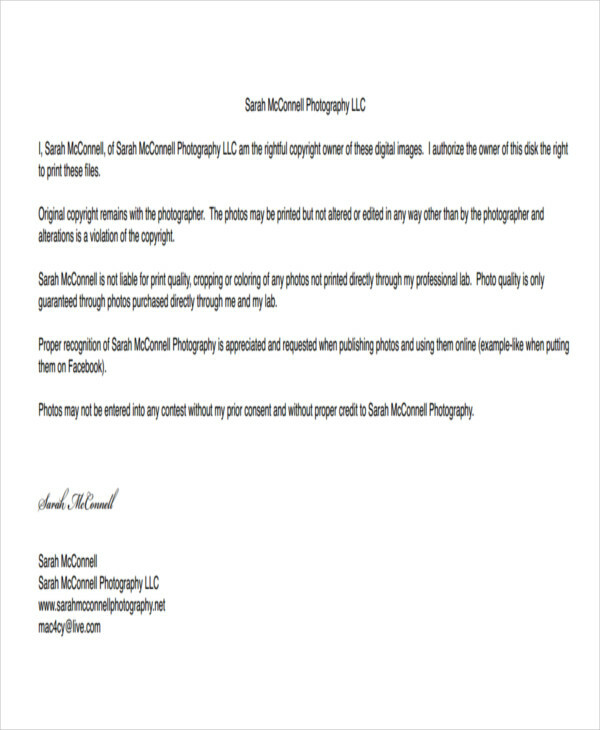 The business owner of the photographs can set limitations on what can be done with the photographs in order to maintain its original condition. 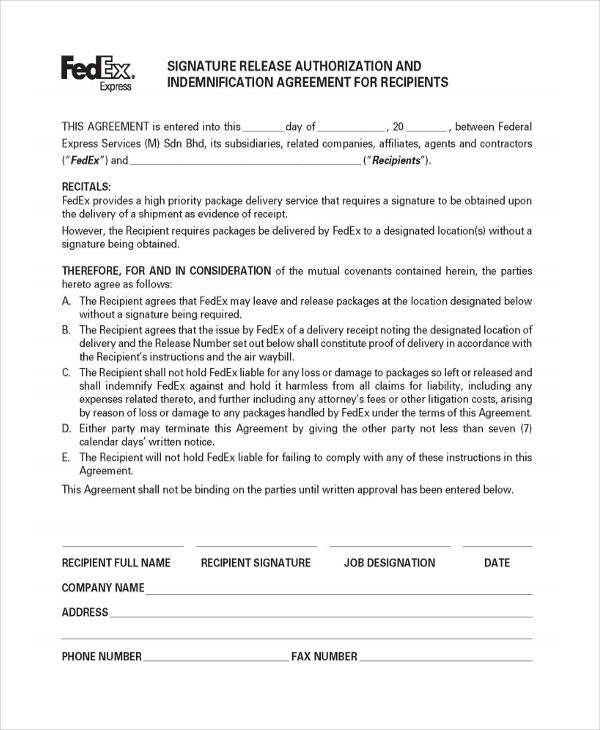 At the end of print release form, the business owner affixes his or her signature to validate the release form. Businesses that incorporate copyrights and other forms of claim have a set of Sample General Release Forms on hand in case there is a customer who is interested in acquiring a product with legal rights attached to it. The release form reassure the business owners that the conditions of the right’s release is being met. The business owners may also establishes prices in correspondence to any release attached to the product. With print releases, charges may be placed with the photographs and may be done in a time-based manner. The amount can depend on the preference on the business owner. 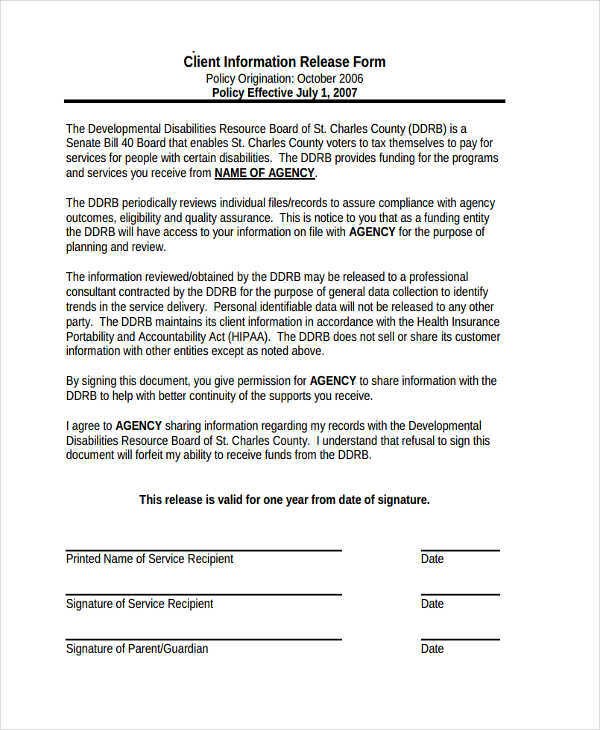 A release form of any kind is considered to be a legal document. Hearing that it is a legal document may make one think that it is filled with complicated terms and conditions that a layman cannot comprehend or understand. Sample Photographer Release Forms and other release forms are actually simpler to understand than one initially thinks. 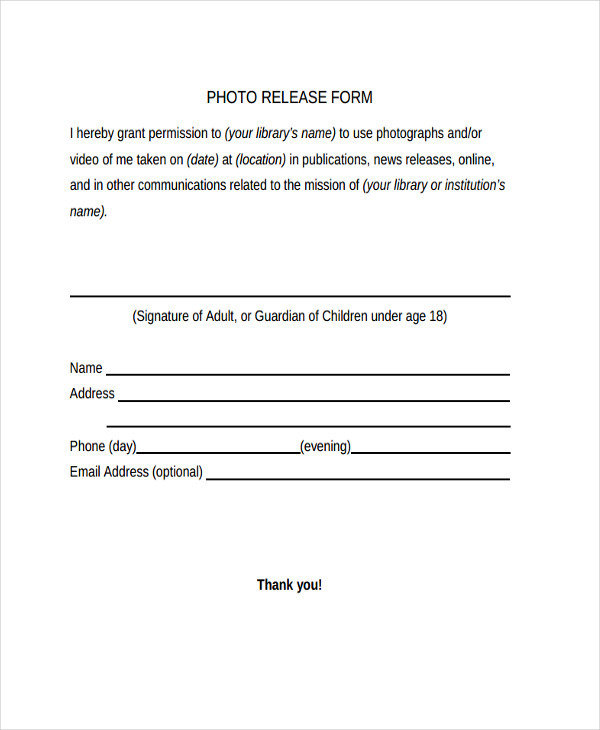 The content of a print release form encompasses how far the permission of granting the rights can go especially who they can go to. It also discusses the limitations that the release of rights can have. These two sets of information are the basic foundation a print release form. What is the Difference Between Copyright Release and Print Release? 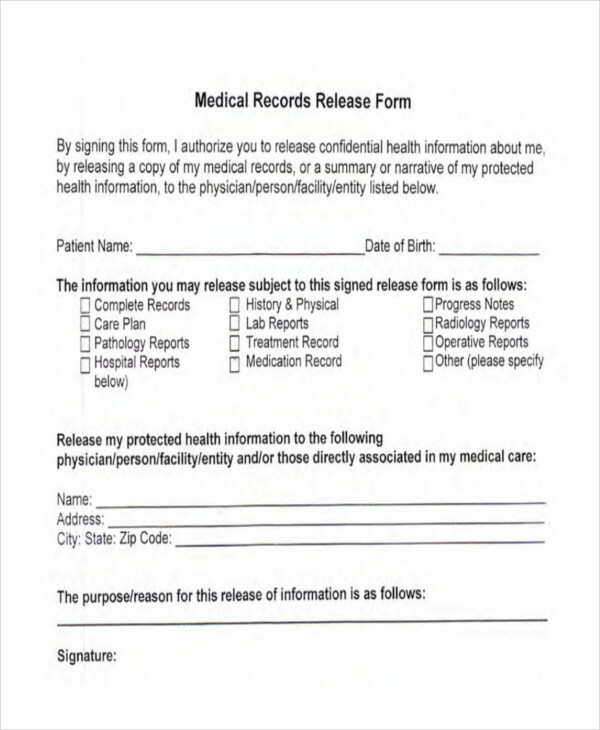 Since release forms can cater to a variety of subjects and be used in different settings, it understandable that a person may confuse two similar release forms. 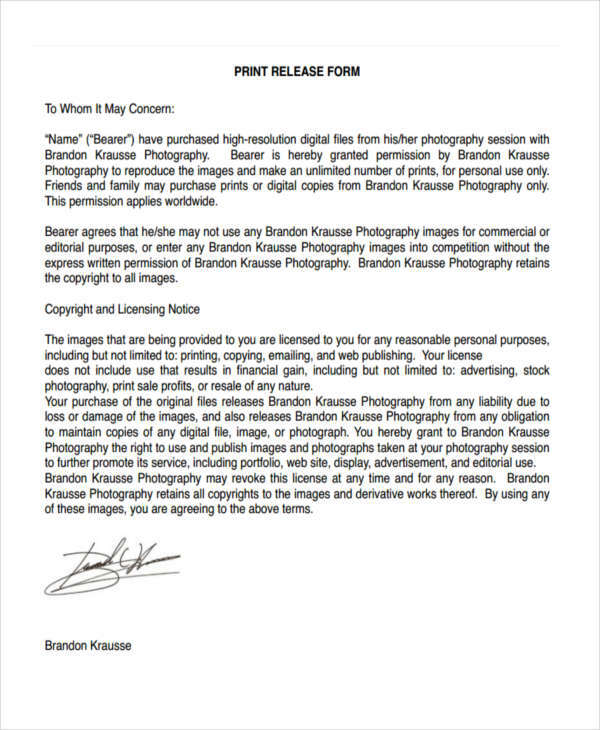 Release forms that are distinct such as an Artwork Release Form do not encounter this problem because it is commonly understood that this type of release form is focused on artworks. 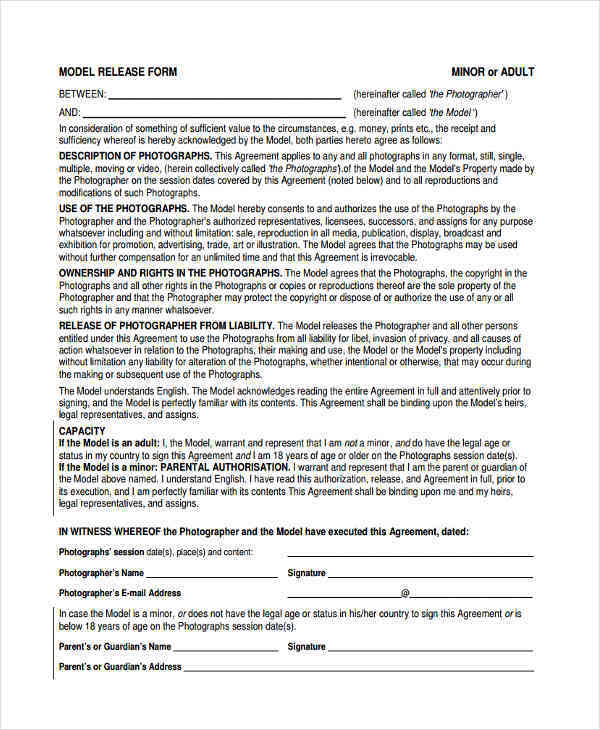 Release forms that are easily confused by people are the copyright release and the print release form. Both forms are similar in the sense that both release forms can be used in the business venture of photography. 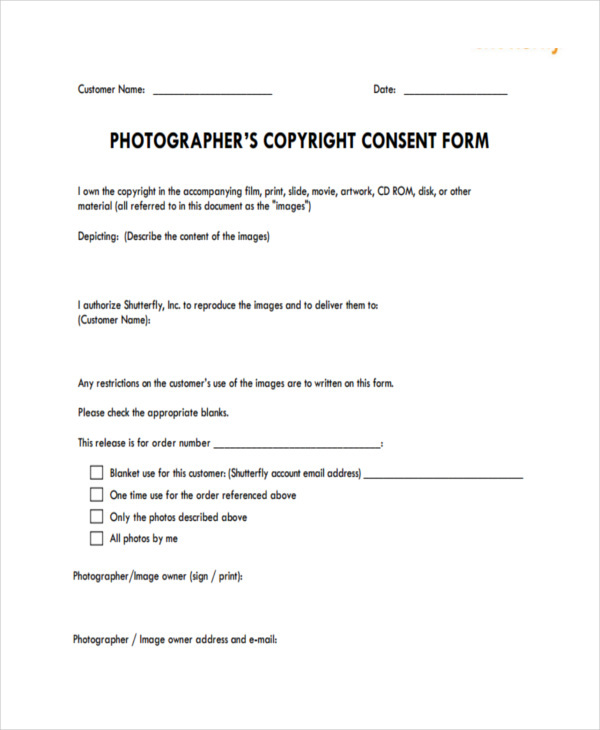 When it comes to the differences between them, the copyright release asks the photographer to release all the claims and rights associated with the photographs. 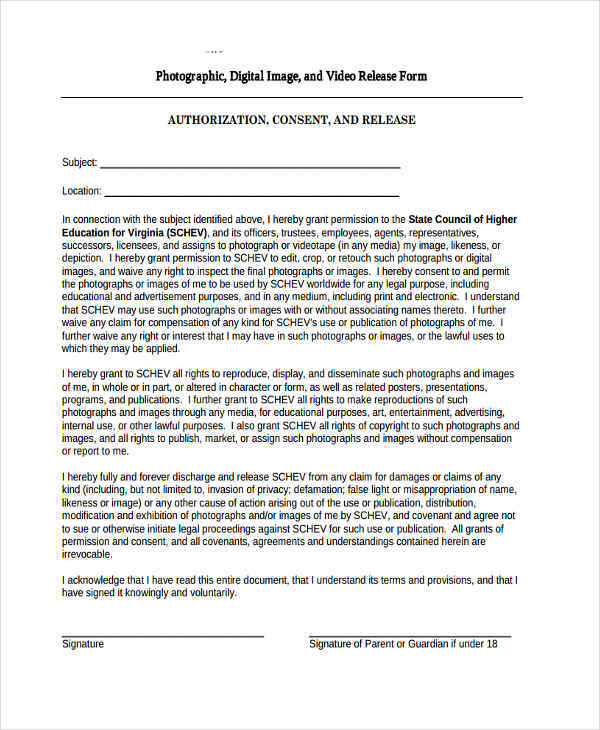 The client gains the rights to the photographs when the copyright release form has been signed. 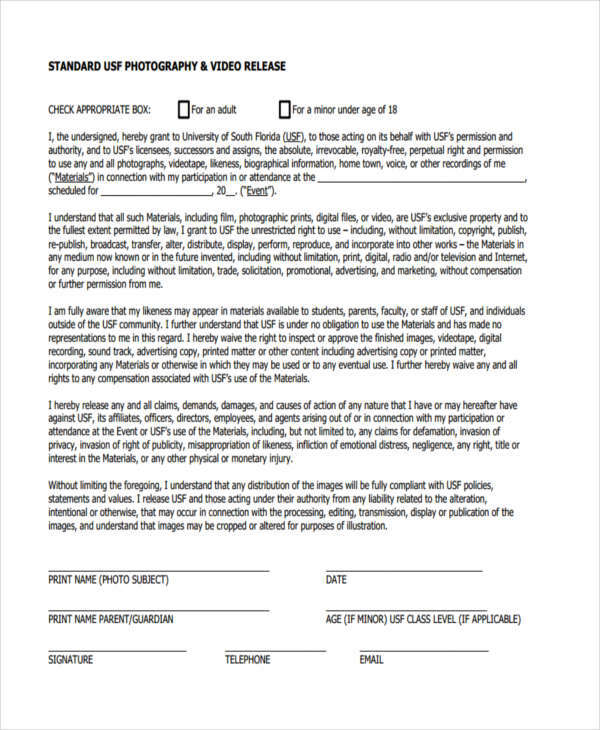 With the print release form, the client may receive the rights to the photographs when they sign this particular release form. 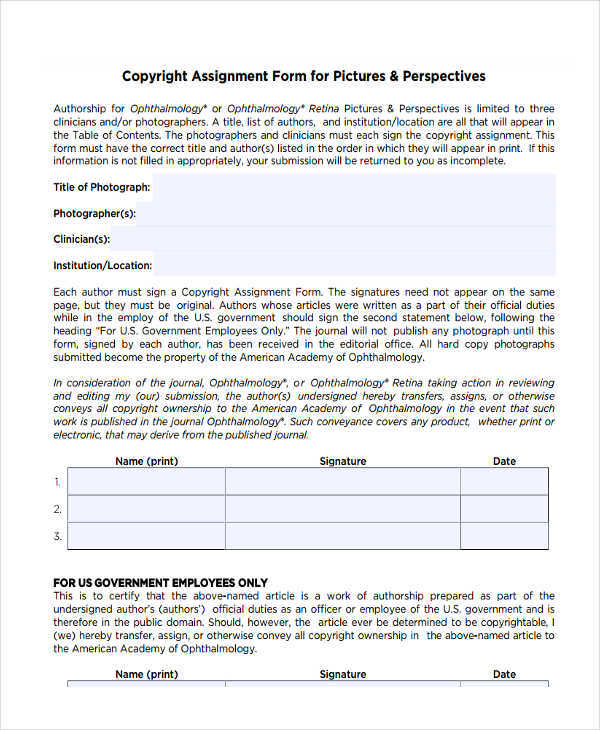 The unique characteristic of this form that sets it apart from the copyright release is that the release is actually limited. It is limited in the sense that the client may not edit the picture, remove the photographer’s logo, and must obtain the photographer’s permission for any planned action with the photographs.